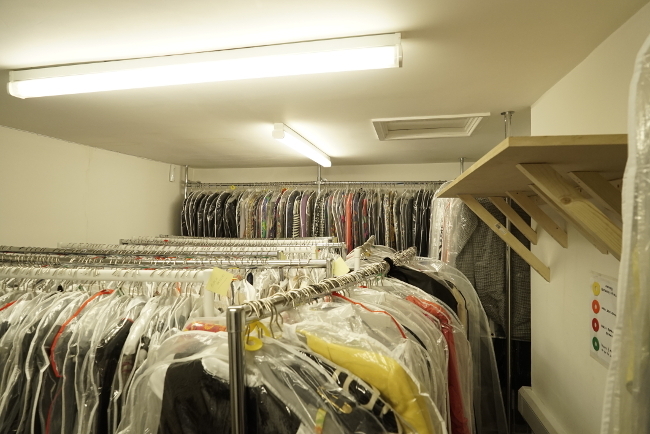 One of our corporate customers in Waterloo reached out to us to help him optimise a room by transforming it into a giant clothes storage chamber. 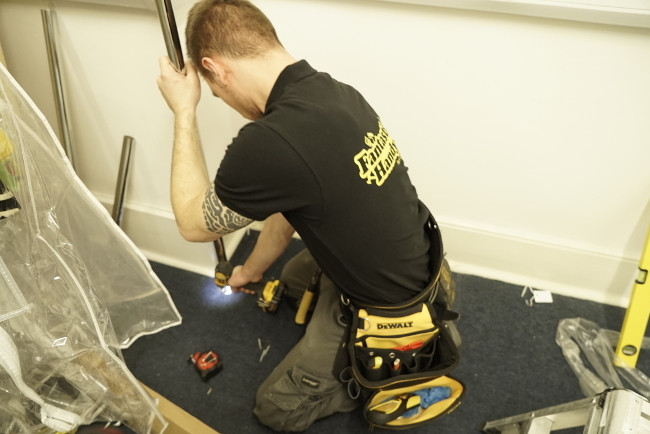 Since every corner of the room had to be utilised, the Fantastic Handyman team, operating the area, was given the uneasy task to install iron rails onto the walls in the room. Moreover, as the rails had to carry a large amount of weight, they needed to be installed properly and securely. Two handymen were charged with the uneasy task to purchase, prepare and install flawlessly a set of custom iron rails. On top of that, the whole job had to be completed in two days. 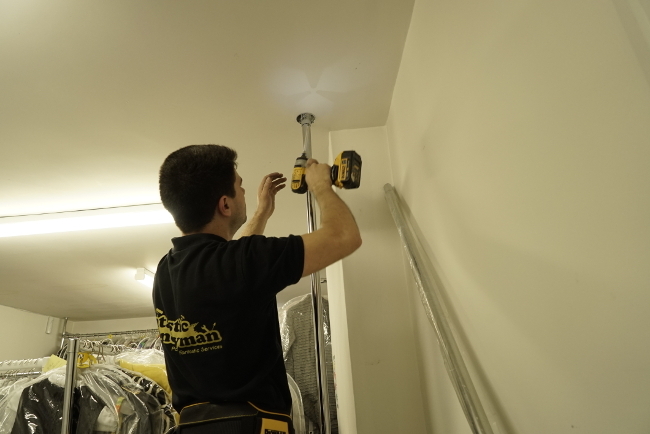 Firstly, a helpful handyman in Waterloo was dispatched with the task to find the right type of brackets, hangers and sockets needed for the project. The technician visited several different stores in the area looking for the right materials. 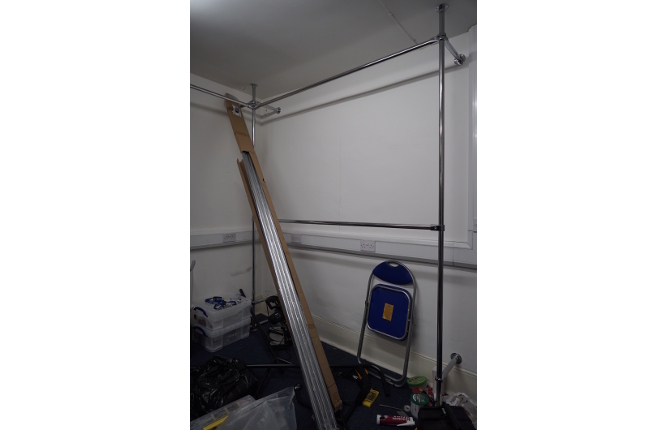 Always ready to go the extra mile, the handyperson eventually found the right type of iron rail hangers and arrived on the address bringing all the materials and tools. 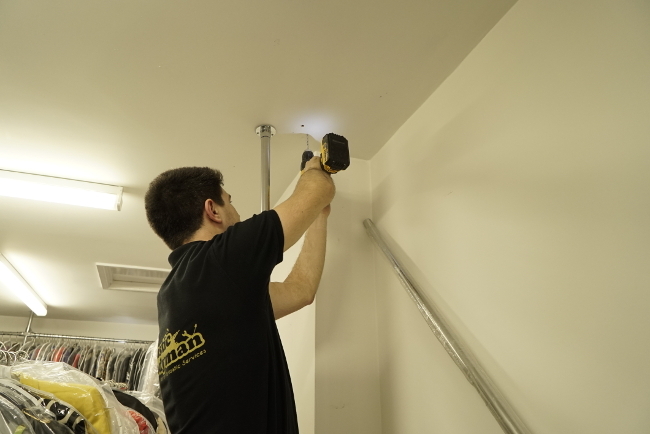 The handymen commenced the job by carefully picking up the place where the rail hangers were going to be installed. 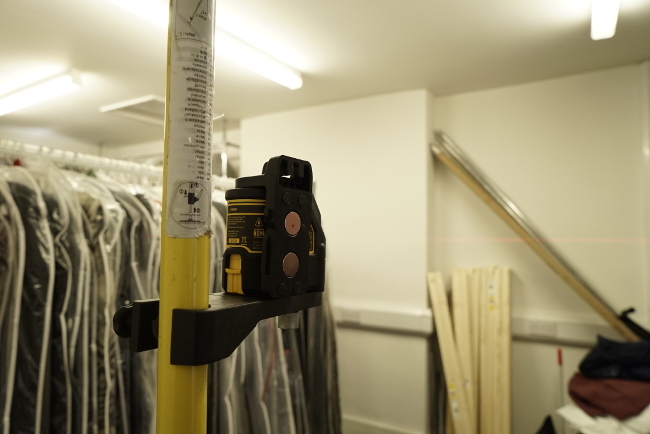 To set things right from the start, they used a professional laser level and marked the position of the hangers set. 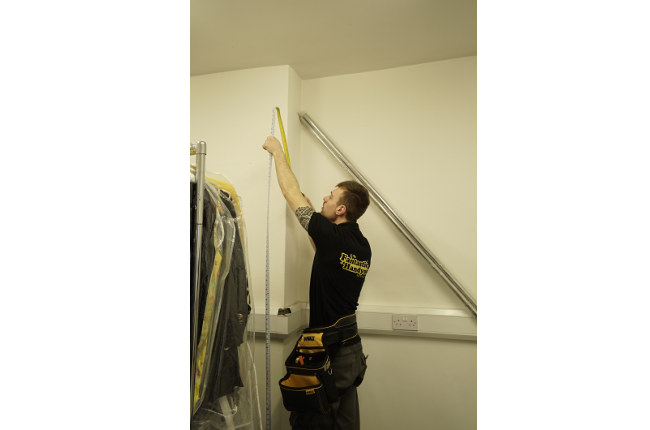 Using a standard tape ruler, they set the height where the horizontal rail tubes were going to be positioned and marked where to drill into the wall. 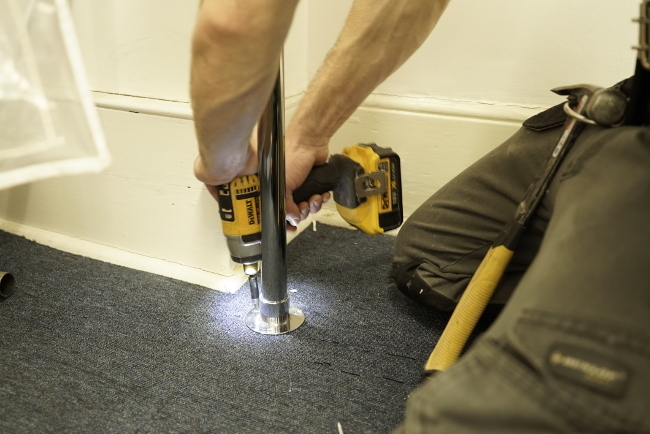 The proper alignment of the holes was of crucial importance for a complex installation such as this. 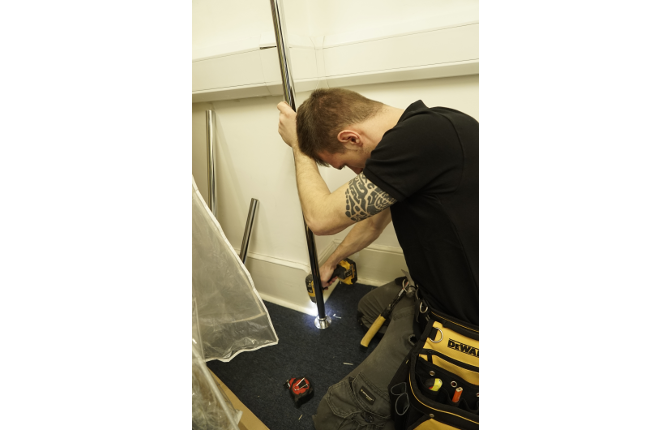 Then, the team measured and cut to size the steel tubes for the hangers installation. The whole process was tedious and required a lot of patience and precise measurements. 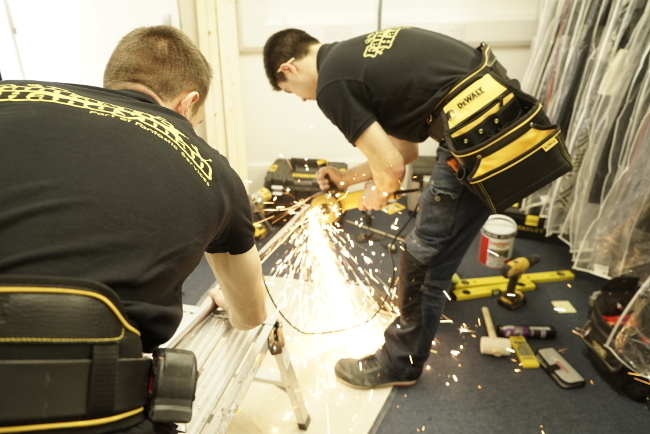 The first order of business for the handy workers was to drill the floor and the ceiling. Next, the rail sockets were aligned, fitted and screwed down. Vertical tubes were slotted into the mounted sockets. The whole process was repeated in the opposite half of the room as well. Since the rail hangers would be put under considerate weight pressure, the vertical steel poles were strengthened via wall fixings at the bottom and at the top ends of the rails to offer a better stability. 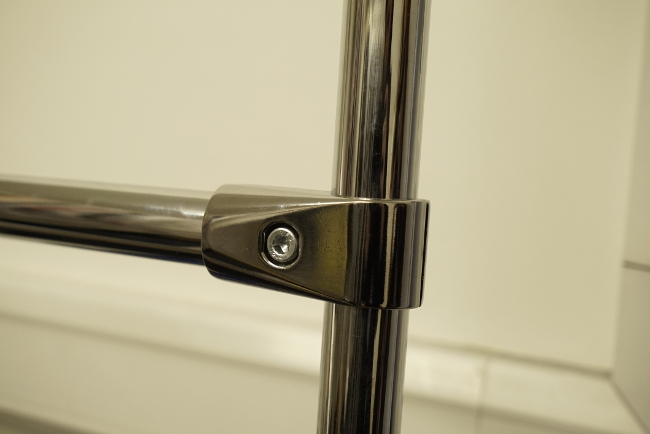 The handymen proceeded with the final piece of the puzzle and attached the horizontal chrome plated rails. Horizontal tubes were aligned and mounted across the vertical tubes forming two level, space-saving hangers. 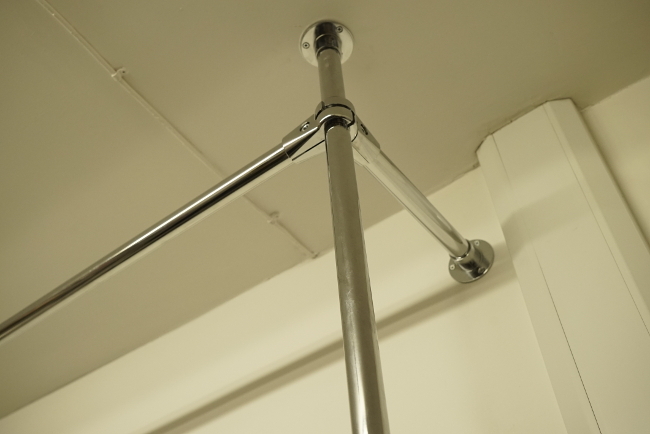 Once lined up and levelled, the horizontal tubing was tightly screwed with the end brackets on the poles. 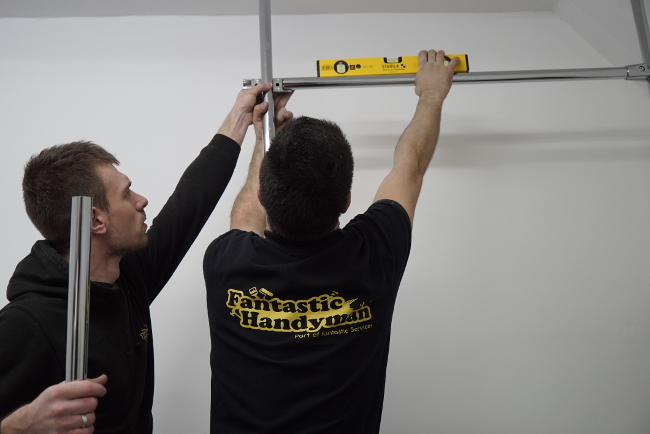 The Fantastic Handy team did their iron installation work flawlessly & in no time! Thank you very much! Will definitely recommend! Need Help Mounting a Shelf?